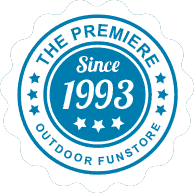 Select a Sunshine Super Turbo Castle Pkg II Because…. 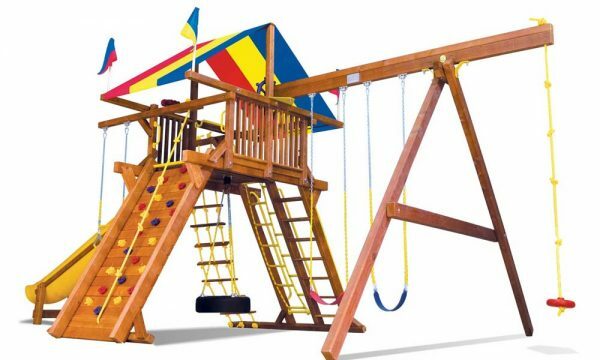 Your younger toddler or child loves to utilize those climbing skills where ever they can in the house. 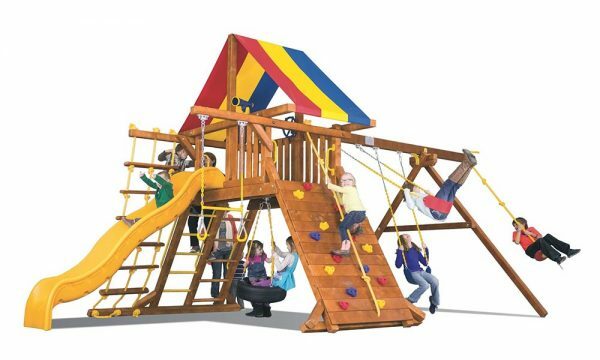 Sunshine Super Turbo Castle’s are built for the skillful adventurers and has more climbing options than other Series and Models. 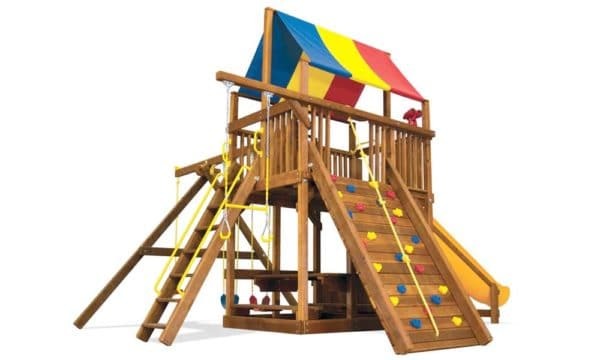 Your little ones will love scaling up the Rock Wall or using the knotted rope to propel their bodies upward. 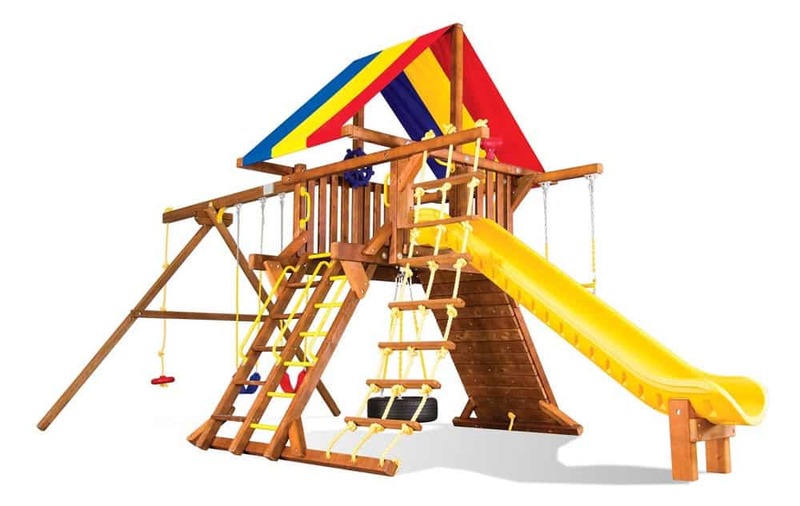 Castle Series Swing Sets also include a dual chain / step ladder option and includes a Jacob’s Rope Ladder. 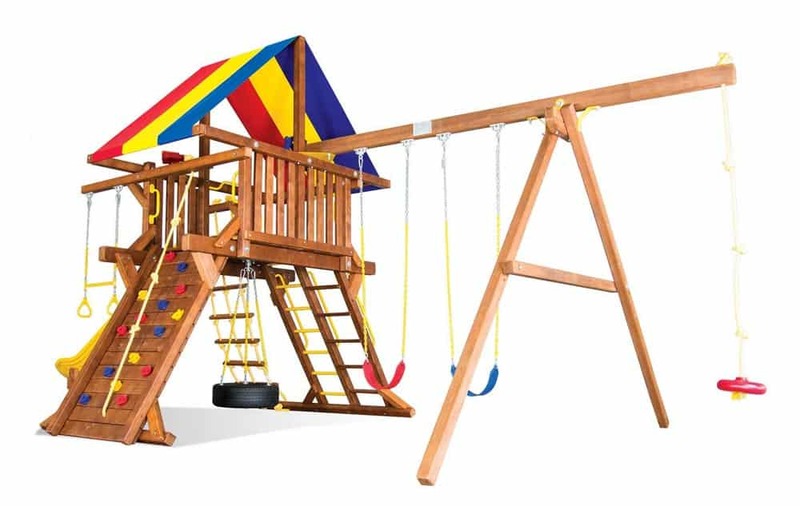 This Swing is also perfect if your yard isn’t. 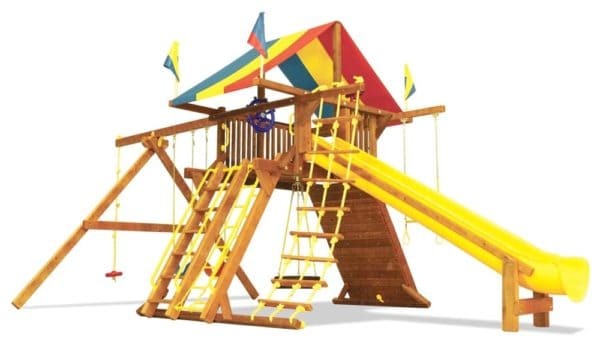 We understand not every home is build on an even surface and the Sunshine Super Turbo Castle can be adjusted to accommodate most unlevel yards. 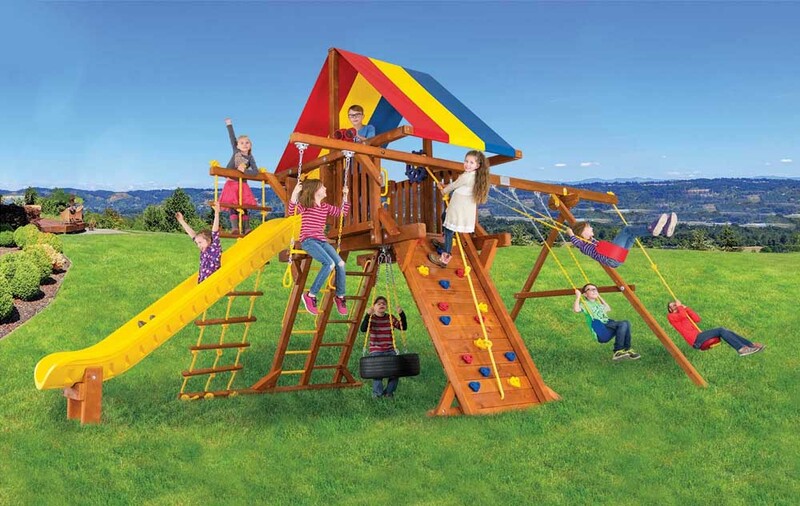 Rainbow Play Systems have been in business for over 30 years and have never stopped building FUN for families around the world. BEST DESIGN FOR UNLEVEL YARDS!